Toshio Hosokawa, born 1955 in Hiroshima, is a fisher of multiple ponds. On the one hand, he carries the torch of European modernism, having studied in Germany under Isang Yun and Klaus Huber. On the other, he professes a deep affinity for traditional Japanese music and Zen Buddhism. 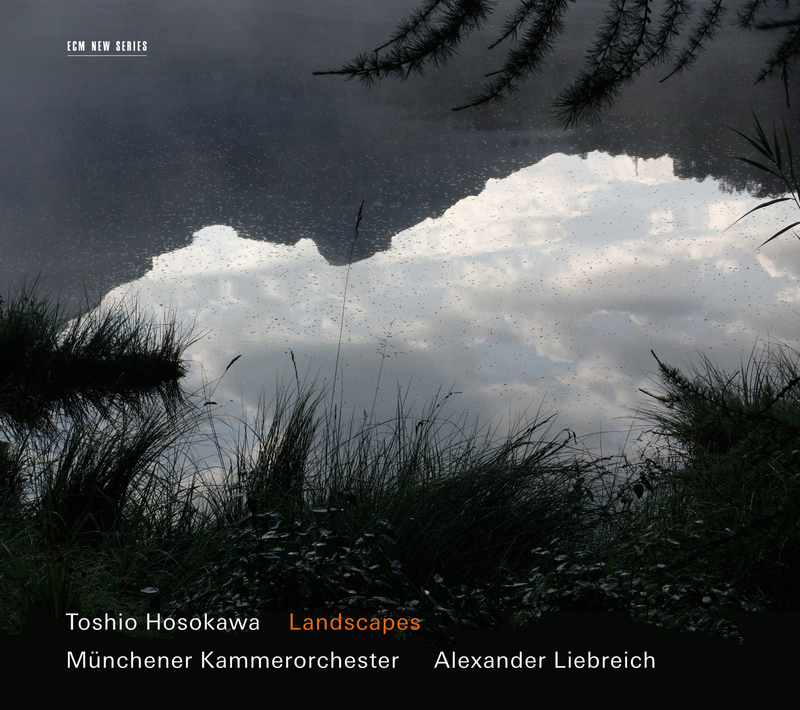 Landscapes is ECM’s only disc dedicated to the composer, who in three of the album’s four pieces employs the shō, or Japanese mouth organ. Here it is played by Mayumi Miyata. 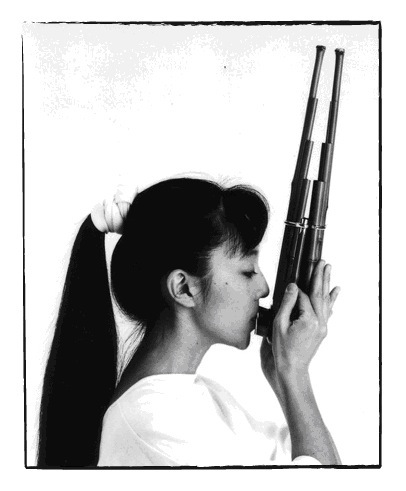 A pioneer in introducing the shō as a solo instrument in contemporary classical music, she plays a “concert” shō with a pitch range broader than its standard counterpart. It requires expert control of the lungs, including circular breathing and steady changes in dynamic intensity. In Miyata’s hands it sings like the very phoenix it was originally intended to mimic. As for Hosokawa’s music, it all too easily falls into an interpretive trap like so many characterizations of Japan in general, which tend to paint the culture as a uniquely enigmatic blend of the ancient and the modern. Yet such an image fails to acknowledge the immediacy of its creative arts, and in particular of Hosokawa’s sound-world, which for all intents and purposes seeks not a bridging of spaces and eras but a reckoning of their aesthetic and (sometimes) political intersections. In the latter vein, he has created massive works in memory of the victims of Hiroshima and the tragic tsunami/earthquake of 3.11. In the former we have this program of meticulous dreamscapes to whet our appetite for beauty. It is, however, a tainted sort of beauty, one not destined for the painter’s canvas but rather for the videographer’s resignation. 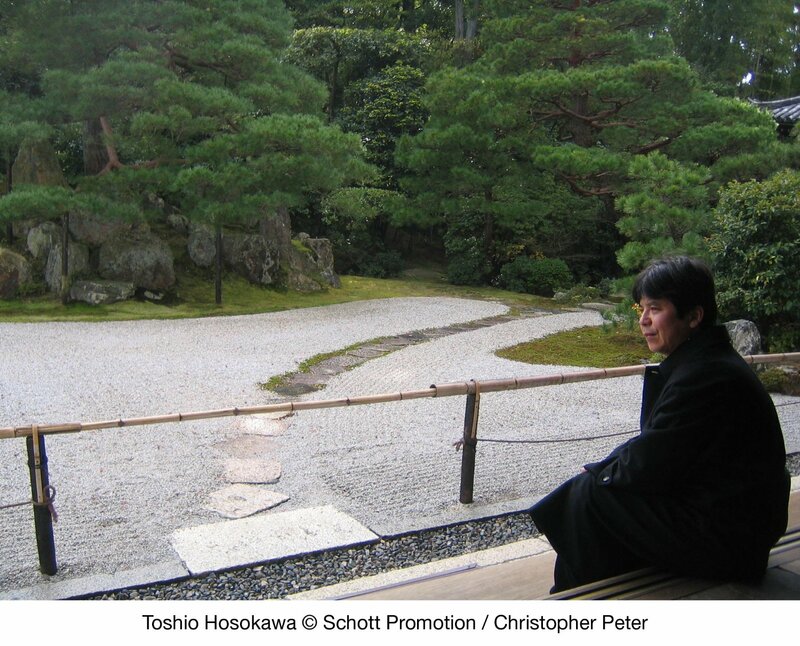 In his liner notes, Paul Griffiths likens Hosokawa’s constructions to the amorphousness of clouds, and certainly we can feel that stretch of variation, play of sun and spectrum, and stormy grays manifesting throughout the program. Landscape V, originally composed for string quartet in 1993 and later expanded to the current version for shō and orchestra, unfurls a veil as thin as an insect’s wing that conforms itself to the shō’s summery spirals. One might not expect breath through bamboo to mesh so well with the feel of horsehair drawn across strings, but in Hosokawa’s renderings at least they become harmony incarnate, the shō illuminating the flow of air through an orchestra’s sound holes. In this pairing one may hear voices, shifts of wind, the flow of water, the meeting of stones, and even the light of moon taking sonic shape. The music is, at the same time, crystal clear. It wears no pretension, puts on no airs. It is, rather, the full breadth of its titular landscape pulled through a wormhole of consistency, so that even the more explosive moments take form not as catharses but as opportunities for deeper contemplation. The Ceremonial Dance (2000) that follows is for string orchestra only, but loses no texture in the shō’s elision. Its heart would seem to lie in the comportment of gagaku (traditional Japanese court music), which turns illusions of a floating world into hyper-articulate bodies. That being said, the “dance” is implied through effect rather than movement, hiding in the absent drum. There is a liminal quality to this piece, performing an indeterminable ritual of which the score is but a simulacrum. Sakura (2008), for shō solo, acts as a prelude to a choral setting of Japan’s most ubiquitous folk song. Bearing dedication to the former music director of the Westdeutscher Rundfunk, Otto Tomek (who also commissioned the setting), it is intimate and drifting, more postlude than prelude, the afterimage of a fallen blossom’s path toward water. As luminescent as its chords are, they are also dappled by the shadows of an unbroken gaze. Last is Cloud and Light (2008), which pairs the shō with a full orchestra, including some light yet impactful percussion. Like its predecessors, it never overwhelms with its style, but unpacks itself in real time with self-awareness and tactility. It enacts a sharing of spirit between water and air, between the shapeless and the shaping. Large brushstrokes of brass pull their hairs through ink, soaking up as much of the universe as they can before falling along with the rain into the pond where Hosokawa’s bob and lure continue their meditation, content in knowing that no fish need ever bite to bring meaning to their dangle.